Have you ever said, “I just can’t decorate” or “I don’t know how”? Or are you stuck with the same old furniture and would love to change it but don’t know how? Or do you have a hard time decorating with what you have and get frustrated? I have an answer for you today! I was just like YOU! I’ve always LOVED to decorate but found myself stuck and frustrated. The vision of the beautiful home in my head was stuck there because I did not know how and have the tools to create it in my home. Does this sound like you? I would peruse magazines for ideas and find amazingly lovely things in stores but for some reason (many really) I could never make my home look cohesive and curated and flow together and be the comfortable beautiful home I wanted so badly! Does this sound familiar? 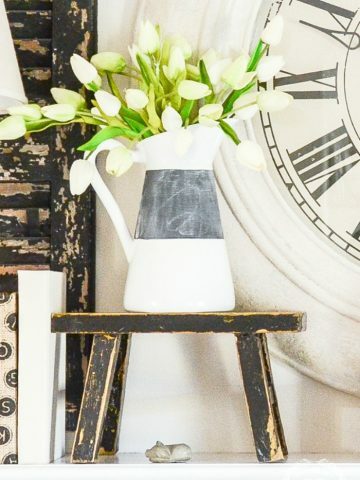 I am a teacher by trade and a learner at heart, so I knew there had to be a way to dig out the design secrets that would make decorating so much easier and with pleasing results too! After years and years of studying everything I could find on decorating, and pouring over pictures of rooms I loved in magazines and online, analysing their every detail and taking copious notes, I found the key that finally unlock the mystery door to a beautiful home! Seriously! I began to learn and put into practice some very elemental and easy to do steps to create the home I longed for! It’s been my mission at StoneGable to share all the tips of the decorating trade and my decades of decorating experience to help you create a warm and wonderfully decorated home. And to share my decorating journey with you. This is why StoneGable exists! For YOU! And to help you create a home you love to live in! 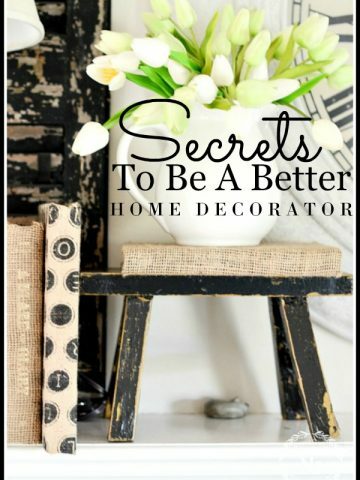 Now, I want to take decades of learning and life experience and distill it down to give you the most important things you need to know to become an amazing home decorator. Most people do want a comfortable, pleasing and well-decorated home! Most people love their homes and want them to be a sanctuary from the outside world! Most home decorators however, lack the one skill that would put them on the road to decorating success. I see this over and over again. I get hundreds of emails asking for decorating help! I’m so happy to help them answer a question or work with them through StoneGable Interiors. This addresses their decorating problems but I want to give them and YOU the tools and confidence to create the home of your dreams. Here’s the one thing you need to know before you can begin to put all the other decorating ideas and tips and theories and rules together. You need to know and be confident about YOUR DECORATING STYLE! I think the number one, NUMBER ONE, reason home decorators, like me and you, have all kinds of problems and issues when we decorate is we don’t know our decorating style! Knowing your decorating is the foundation to become a wonderful and successful decorator! Knowing your decorating style is like a giant filter to confidently funnel down and process every decorating decision you make and everything in your home! What gets filtered out are all thing things we love but won’t work in our homes and every bad decorating decision. What is left is pure decorating gold! 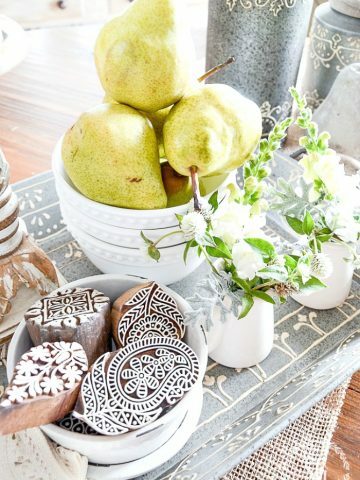 Easy decision making and decor that will work together in your home for a long, long time! Now, wouldn’t you love that? 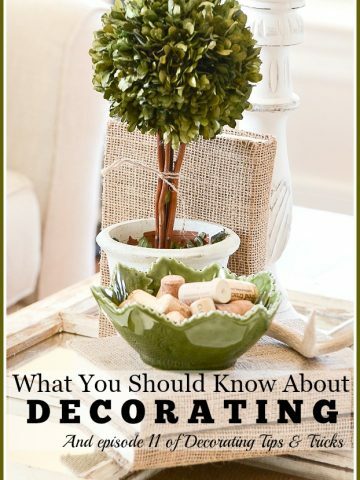 Here’s the best news…I can teach you HOW TO KNOW YOUR DECORATING STYLE! I’ve developed a video course to walk you through the steps to learn and develop your own personal style. It’s fun and filled with discovery! It is also work! So what you learn will stick with you! HOW TO KNOW YOUR DECORATING STYLE will make a huge difference in your home and in you! I want to tell you more about HOW TO KNOW YOUR DECORATING STYLE and how to enroll in this course. Right now you can get HOW TO KNOW YOUR DECORATING STYLE at a discounted price as I am putting the finishing touches on this course. The course will be available on March 3rd. Ordering now gets you the discounted price! Limited spots are available. Once they are full, the course will be offered at full price. I hope you will join me and learn about your decorating style! You can take this course at your own pace and right away put the lessons to work in your home! Ready? Me too! I am very excited about this class. I need to know if there are time limits on this class. Can I download the material and do in my own time? Hi Susan, the course will be available on March 3rd. It is yours to keep and you take it online yourself at your own speed! Love it. Home is gorgeous! Sorry if this is a duplicate. I have tried to reach out through email as well. Yesterday I signed up for your course however my email is incorrect. Please let me know that you can change my email. My email should be bevward@bellsouth.net not bevwars@bellsouth.net. Help please ! Thank you. I took care of it Beverly. Don’t worry! You are enrolled and we have the right email. Very excited about this course! Thanks for offering it to us, Yvonne! Thrilled you are getting the course Julie! How long is each module? When will they start? Do you have to finish by a certain date? Will you be able to go back and watch again? Thank you! Super good questions! There are 10 modules with two-four sessions in each module. Each session runs from a couple minutes to about 20 minutes. The course will arrive in the inbox on March 3rd to everyone who preorders it. And you can start right away. It is your course forever and you can go at your own speed to work on it. You can also go back and review it when you need to. Hope this helps! Congratulations! I know you have put a great deal of time and effort into making this course. Everything you share is so helpful and you have a wonderful way of explaining how to look at decorating and try new ways. Your inspiration and encouragement has been such a comfort to read in your blog. I wish you much success in this new adventure! I know it will be a huge hit!! How exciting! Congratulations on putting this together and best of luck. I know it will be successful! How can you buy something if you don’t know how much it cost? Hi Barb if you would have clicked on the button it would have taken you to a page with that info. The discounted price is $99.00. After the presale, the full price is $149.00. Hope this helps. Unfortunately I’ll have to just stick to learning from your blog posts. 🙁 Our problem is budget. While I can see the benefits of this wonderful course, we sadly just cannot afford such an expense.